Discussion in 'The Lounge' started by HAB, Dec 31, 2012. Morning. At the airport on the way back to Seattle. Fighting the urge to coffee up and suffering for it. Where the fvck are the wingdings? There are supposed to be wingdings in the title! Went snowshoeing yesterday. Was fun. Rockin da hood in Trumbull today. 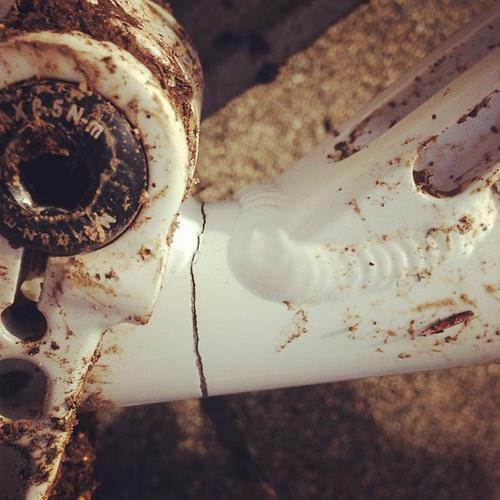 Yes, no windings is really bad really really bad. Finally got my new road bike build yesterday and what a beast it is a big change from my previous 2006 bike. Also put a new fork on the XC bike so 2013 is looking like a fun bike year. Not sure if I am going to work today time will tell. Tonight will be Champagne and sushi with our Japanese friends. Still breathing. Off to work. Cold has broken, 3 days in bed FTW. Not going out tonight, not that I know of anyway. Skiing in the a.m.
Iceballs: I recently got some new bibs from Flylow. Love them. Check their deals page for, well, deals. found and re-installed my old copy of office xp. Clippy says hi. It was 12* when I got into my car this morning. It's cold enough that my battery is beginning to struggle to start up. Time to get a Red Top. 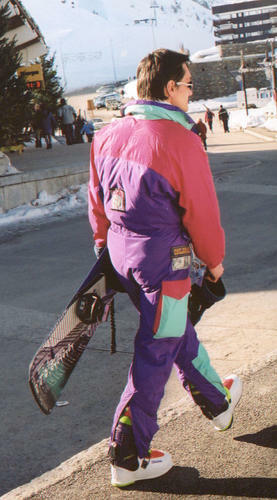 Well I already got the new ski pants (Obermeyer rail yard pants) but I'll have to remember to check that site next time. The regular stuff on there seems a little overpriced but the deals section seems to be decently priced. Obermeyer. Nice. So what is it like being a tycoon? Are they like this? At work cleaning up the office and finishing off my to do list. Bottling beer today. Went for a run yesterday since it's supposed to snow today. As noted above, its cold. 'Morning. I ran 14.5 miles this morning, all but assuring I will be asleep shortly after 9:00 tonight. I'm very tempted to spend the $200 to get a kegging system. I am far too lazy to keep bottling. Good New Year's Eve Morning! Skied with the fam yesterday, watched the game--go Hawks! Skiing with the fam after work, crashing on the mountain with friends, and skiing New Years with the fam. I'm pretty sure this is how New Year's is supposed to be Stay safe! Turn the headlights on for sixty seconds before you use the starter. Try it before telling me it's a dumb idea. Thought today was a holiday at work. Was wrong. Oh, well, it's a vacation day. Hello all. I made my resolutions in secret after re-discovering how fat I am yesterday. Time to get back on the bandwagon. That's where im at. Waiting till we buy a house before that; gonna get an old chest freezer and swap the thermostat. there's this invention called email.....email the plebes their schedules. Wrapping up the staycation in a day or so. Might extend it to 1/3...hmmm. Attended the new gym - free weight room is very 'Arnold 77' like. Pumped me up. Got some Abbey style ale, some Jameson. Going to kids party then later night adult 'neighborhood band' party at the local AOH, nice 10 minute walk from home. Hoping they play FOGHAT's 'Fool for the City'...NA NA chugga chugga NA NA chugga chugga NA NA NA NA NA chugga NA NA!! EDIT: set up the rollers today, kinda scared of it. Holly rollers do not roll so well on it. To go with my Mistral Extacy 159 asym. Are you getting your expressions mixed up, fatty? Good luck, Toshi. I lost 50 pounds when I came to that realization. Most chest freezers have a set screw that you can adjust on their thermostat - dial that in and test a bit, one of my kegerators stays right at 40*. The other chest freezer was older and keeps slushing up the beer so i'll have to spring on a controller for that. That's a sweet looking fart bag. The regular exercise and diet bandwagon, that is. I won't be running any marathons like you! You, and actually my father in law, are definitely part of my inspiration, though. I think I'm going to risk my liver and try some Atkins mumbo jumbo. Happy New Year guys. I am alive. Went riding today and cracked my frame. sonofa. I will be around more this year.